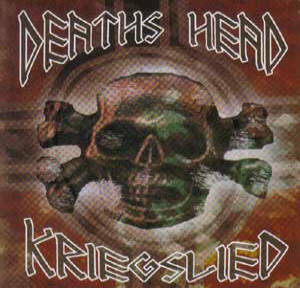 Recorded in late 2007 and released in August 2008 Kriegslied is the fourth full length cd from Australian Skinhead metal band Deaths Head that also ventures into relatively untold territory for skinhead music, though a long held metal tradition, the concept album. Vocalist & songwriter Jesse takes us through the new album track by track & explains a little about what he hoped to achieve. First & foremost this is a concept album, a style that has traditionally been accused of being pompous & self indulgent, all of us however have subjects we hold close to our hearts & the National Socialist era of Germany is one of mine. Whilst not being German myself it is from this era that many of us have taken our core beliefs in life & it is from the example of that time & place we try to live, even though we find we may have to adapt these principles to the modern world we find ourselves in. Open the pages of any history book & it is impossible to find a subject more vilified or portrayed as monstrous as the time of the Third Reich in Germany. This album is my attempt to redress this in some small fashion, think of it as an alternative history lesson, set to music. The album itself has 9 tracks each dealing with an event or time period of the Third Reich, of course it would have been impossible to detail every event that shaped the course of the worlds first National Socialist state, but I felt the parts I chose to include in this album gave a good overall sense as well as providing a narrative flow over the course of the whole album. Remember, the idea of the concept album is that while each song is a stand alone track they are all part of a greater whole. Witness the close of the Great War. From the ashes of the most devastating conflict the world has ever seen a defeated Nation emerges. Battered & demoralized, carved to pieces by the stroke of a foreigner's pen. Their families starving, once proud soldiers are forced to beg in the streets in a struggle for survival. The prelude track that opens the album, it finds Germany at the end of WW1. Cut to pieces & bled dry. The German economy bankrupted & the countries infrastructure destroyed. I was looking at photographs of the hungry families, & particularly a photograph of a veteran, missing a leg begging on the streets that inspired this song. In spite of his destitution & the injury he had suffered in his countries name his uniform was still cleaned & pressed & he wore his iron cross with pride. In the clubs of the working man the dissidence grew. Fathers & husbands ashamed of their families hunger, while their Nation's betrayers grew sleek & fat. Finally they could take no more. Their rage building, like a powder keg waiting for a single spark. Then a new man came among them. Alludes to the story of the foundation of the NSDAP from the ranks of German workers clubs. How from angry meetings in beer halls their ranks grew to become a force to be reckoned with on a National scale. How Hitler fanned the flames of their discontent & led them to rise & how they were cut down by the government. Originally the lyrics to this song included how leaders such as Hitler & Hess were sent to Landsberg prison, but this was cut from the final song. The upshot of this song is that while the Movement grew to change the world it began with simple working class folk like us. They were not heroes or great men who came to rescue the little people, they were the little people who rose to the challenge & became great men & heroes. From the ashes of despair a jubilant folk are resurrected into a time of prosperity & plenty of growth & industry. Picture rank upon rank of young soldiers, feel their pride in the lightening bolts affixed to their collars. See the women of the Reich, love in their eyes joyously hail their young men marching past. Fast forward to the high point of the Reich. Hitler is in power, the Nation is strong & healthy again. The inspiration for this song is taken directly from Riefenstahl's Triumph of the Will. Many in the mainstream regard this film as one of the most powerful pieces of propaganda ever produced but to my eye it is impossible to fake the love & pride the German people in that film take in their own folk and their Leader. When in our day & age have the powers that be enjoyed such popular support? A Nation revitalized, strong & yearning for freedom from the shackles forged in defeat. A great & charismatic Leader, fierce of will in the pursuit of his goals. A folk eager to restore their Fatherland & bring National Socialism to all of Europe. Finally, a new kind of warfare, the Blitzkrieg, which brought the first flush of victory. 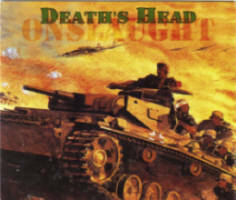 A classic Deaths Head song that hearkens back to our first release Onslaught. Up tempo & about German soldiers kicking arse. Songs like this is how Deaths Head earned its stripes. No further explanation necessary! Fragile treaties crumbling. The communist beast Stalin massing his hordes to invade the Fatherland. Seeking under the table assurances from the encroaching allied armies,. The Fatherlands last desperate chance a pre-emptive strike. Forced into the peril of fighting a war on two fronts. Historians now often claim that it was a sign of Hitler's incompetence as a Leader & encroaching madness that made him commit his armies to an all out assault on Russia, what they gloss over is that this was indeed a desperate pre-emptive strike as Russia was planning to overrun Germany, changing sides to support the allied armies. From an artistic point of view this was a tough one to make a compelling song, as there was no defining moment, no great deed or gesture that prompted the German strike, hence the opening line "signed a non-aggression pact that was ultimately doomed", not exactly a powerful starter… Still I think over all the song makes it over the line, by focussing more on the human aspect then the political side of things….plus I love the bass line. A man of pride & passion, he lived for nothing but the glory of his beloved Nation. Forced to bear witness as his dreams are trampled into the dust by the millions of foes arrayed against him. Finally no choice but to ensure he leaves nothing behind as a prize for his captors. With his death that day all hope dies. Many brand Hitler a coward for committing suicide when all hope was lost, but rather I feel he should be honoured for the courage of his convictions. He decided the manner of his own passing instead of putting himself at the mercy of his captors, refusing to be paraded as a trophy of war. In retrospect a wise move, given the treatment the Russians gave his dead body, what torments would he have faced had he been taken alive, and then followed by the indignity of an American show trial, such as suffered by the other party leaders. Alone against the world the brave armies of the Third Reich are overwhelmed. 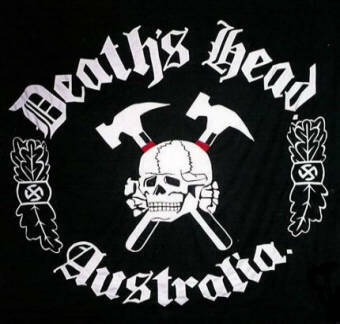 A grand folkish creed cast down beneath the heel of a united global enemy. Surrounded by a merciless foe Berlin lies in ruins. Europe's last bastion of National Socialism is destroyed. The end of the war & of National Socialism in Germany. The last defence by those few soldiers' left, anti-aircraft guns manned by women & children of the Hitler Youth & all the time the horror of the Russian advance. Who can imagine the torments suffered by those survived the final battles at the hands of the revenge seeking communists. I think Ian Stuart said it best in the snow fell: "Still it sickens my heart to see the picture of the red flag in Berlin." No concept album about the Third Reich could be justified in not mentioning the holocaust. Whilst opinions vary on its factuality or scale, the mere fact that it has become such a defining point in history (remembering history is written by the victors) means it had to at least be mentioned…plus there are so many nasty tales that it just cries out for a metal band to write about it. I tried to take a leaf from the book of Slayer & follow in the footsteps of Angel of death with this song. I neither refute or agree with the current holocaust opinions but put the whole thing in the context of a nightmare suffered by a "survivor" At the time of writing I was vainly trying to keep the whole CD on a Europe legal footing but more on this later. A Nation raped, torn apart, vilified & bled dry with reparations. Great men slandered, ridiculed, finally murdered. Broken but not beaten slowly the folkish spirit rises to the fore. Pride is rediscovered despite the government's propaganda machine of shame & guilt. Against all hope the Movement grows anew. In most countries around the world our Movement gets smaller every year, in Germany however it seems to be growing from strength to strength. This despite some of the strictest laws, harshest punishments in the world for those who are active in our Cause. Is it because practically every child of Germany had a father, a grandfather who fought, who died or if they were lucky survived to tell the tales of these times, who can say when they see the vile slander about those times on television, "No that is not how it was, I should know I was there!" I was lucky enough to spend some short while in Germany a few years ago, & just to be able to walk in the places where these great moments happened was a feeling I had never before experienced. It is an inspiration to all of us everywhere that despite the hardships they face there are still Germans willing to walk in the footsteps of their heroic forbears. That pretty much is the guided tour of the latest Deaths Head CD. It was a project many years in the making. When I first had the idea for the CD I was so inspired I wrote the rough versions of all the lyrics in 2 days. The band line up at the time was completely uninterested in doing this project however, it took 3 years to find the musicians, write & re-write the songs (some as many as 4 times) & finally record the album. It was my desire to release the album on a German label as this seemed most fitting; to this end I strived to keep all the lyrics within the legal limits there. As it happens though, just as I was ready to record the laws there were tightened again so now the CD was illegal before I had even started. In the end BHS Services in Hungary were prepared to release the CD as elsewhere in Europe it still met legal requirements, & after a wait that seemed lengthy to me after so much toil the CD was finally released. I do not get much in the way of feedback down here but what I have heard has been positive. Music however is a labour of love for me, & when you sit back with the final CD in your hands, the work that gets you to that point seems miniscule. Especially when you are writing about something as important as the history of our Movement.